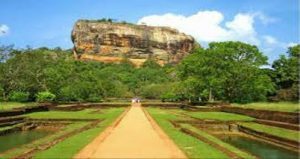 Sigiriya is famous for its rock, The Sigiriya Rock. This outcrop was converted into a fortress by King Kasyapa from the year 477 and he made it the new capital of Sri Lanka. It is said that he had 1,000 maidens in the fortress and he bore no children. It is the most visited site in Sri Lanka, and it is not surprising as its presence and dominance over the area is seen from all sides. 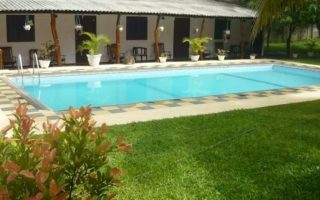 The area has therefore changed to cater for the influx of tourists, with many hotels, guest houses and homestays in the area. 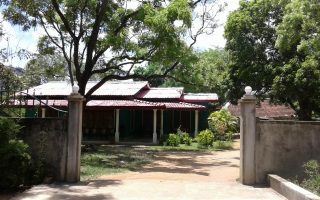 There area also many restaurants to choose from off the Sigiriya Road. 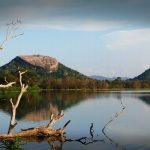 Do not be surprised if you see monkeys, wild guinea fowl and tortoises in the area. There are elephants too though they tend to stay away from populated areas. To see more nature you can visit the Minneriya National Park which is only 18 kms away, 24 minutes by car. Tip: To get to Sigiriya from Trincomalee take the 45 or 49 bus to either Kandy or Colombo, and get off at the Habarana Cross Roads. These are regular bus services and you do not need to book in advance. From there you can take a tuktuk to Sigiriya (1000 rupees), or catch two local buses. Sigiriya is also 30 minutes from Dambulla by tuktuk (900 rupees).